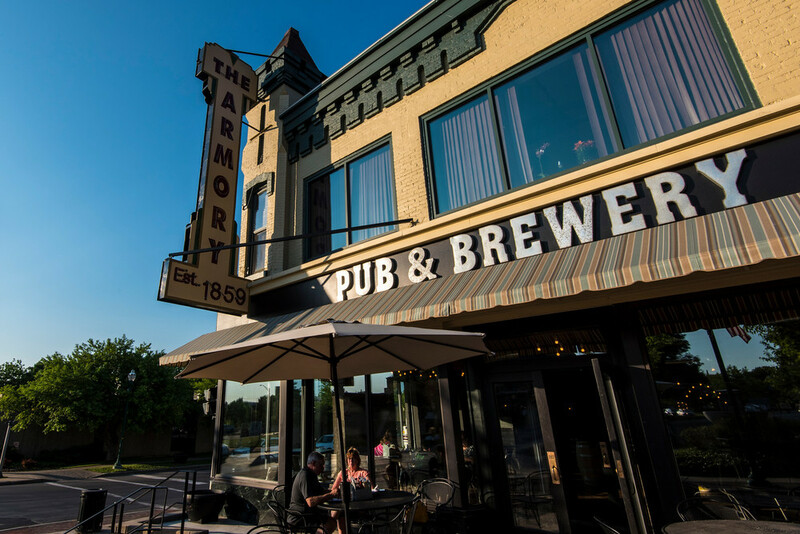 Come enjoy Downtown Auburn eateries, breweries & fine dining establishments. Walley’s offers quality cocktails, premium wines, whiskey & scotch in a comfortable atmosphere. This fine establishment is the leading account in George Dickel 9 year old Tennessee Whiskey. Come enjoy professional friendly service, delicious food & fine cigars. Special events hosted monthly. Visit website. In addition to their famous 17” pizza with a variety of fresh toppings & calzones, try the jumbo Buffalo & chargrilled wings in 12 flavors; also serving domestic & imported beer. Free delivery, take-out or dine-in until 3AM. re-branded, serving dinner. Menu offers build-a-burgers with countless cheeses, sauces & toppings, on top of a blend of Angus ground chuck, short rib and brisket, plus appetizers, salads & desserts and a full bar with 12 beer taps. From early morning until night, serving hot, iced & frozen beverages and coffee, plus donuts, pastries, muffins, croissants, breakfast & bakery sandwiches and free Wifi. Visit website. Family owned & operated, Shep’s nano-brewery rotating craft beer selection includes American & English-style IPAs, pale ales & stouts, and German-inspired ales, lagers & pilsners, plus NY wines and house-created & guest hard cider. T-shirts, beer flights, pints and growlers available for purchase & refilling. First Fridays, view local artwork & enjoy live music. Bring food in, downtown eatery deliveries welcome. Visit website. Restaurant & bakery serving home-made traditional and Sicilian cuisine such as pasta, lasagna, pizza & fish dishes, plus desserts like tiramisu, cookies & cakes. Italian lunch buffet offered & catering, and private back room available for events & parties. Visit Facebook page. We serve Coffee Mania coffee, teas, specialty drinks, New Hope Mills Belgian waffles, soups, deli sandwiches & wraps with Martin's sandwich meat, baked goods by "Just Desserts," and breakfast sandwiches. Visit Facebook page. For carry-out lunch or late night dinner enjoy our gourmet, custom and deep-dish pizzas, flavored wings, crazy bread sticks, cheese bread, Caesar dips & ice-cold Pepsi products. Visit website. Authentic fresh California-Mexican cuisine serving lunch & dinner, plus specialty drinks. 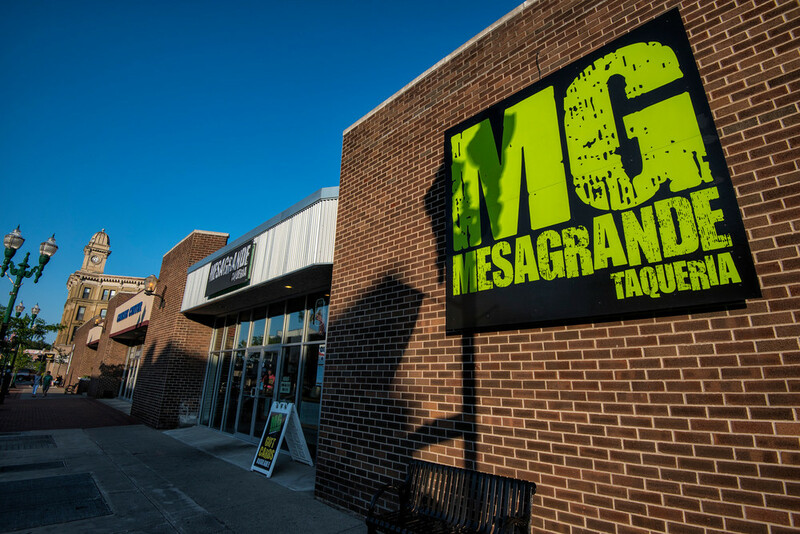 Choose from burritos, tacos, quesadillas, nachos & salads. Take-out or dine in/out, plus catering & online orders. Visit website. 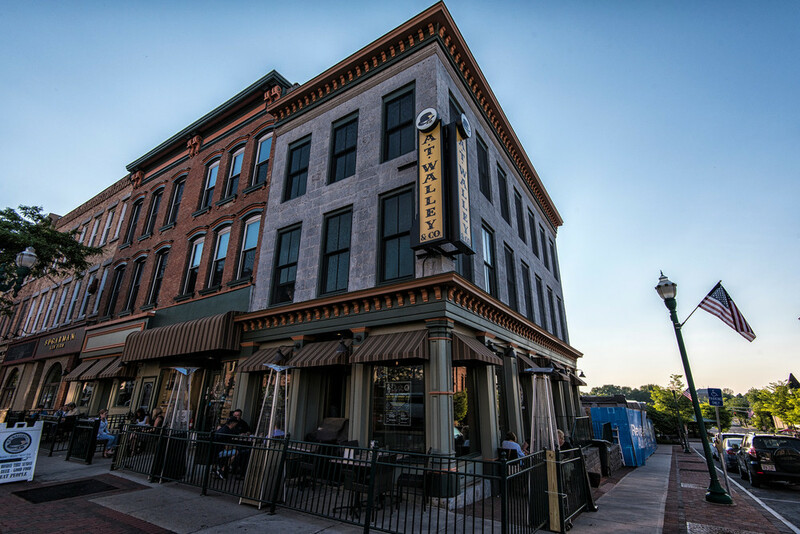 NYS beverage bar & entertainment venue featuring gourmet pizzas, nachos, homemade soups, snack board & desserts, plus full bar and live music in an artful & relaxing environment. Wednesday is open mic night, plus music performances are scheduled Thursday - Saturday nights. Visit website. Locally owned brewpub serving on site brewed beer other local beer, wine, cider & spirits, small plates, salads, soup, paninis & wood fired pizza. Live music Friday & Saturday night and Sunday afternoon jazz. Enjoy a cozy atmosphere with family & friends. Visit website. Coming soon, Octane provides an espresso bar, 26 self-serve craft beer tap wall, piano & retro vinyl lounge, a library & quiet meeting spaces. Come enjoy Wednesday poetry nights, Thursday ‘date nights’ with children’s activities, live entertainment on Friday & Saturdays, Sunday brunch & weekly community-interest events. Visit website. National award-winning brewery & eatery open for Sunday BEERrunch, lunch & supper serves sandwiches, burgers, brew house plates, soup, salads & interesting sides. The brew master creates small-batch craft beer on premise, plus a large selection of local beer & cider on tap. Monthly Beer Club & special events. Visit website. Part eatery, part market & retail space offering prepared entrees, pasta, sides, soups & salads, all made with fresh & local raw ingredients. Weekly seasonal menu offered for Provisions by Pure home meal delivery. Additional services include event planning, private events, hospitality consulting; including design, operations and food & beverage, staff training & culinary gardens. Visit website. For a breakfast, lunch or dinner stop enjoy free parking, quick service and made-to-order submarine & breakfast sandwiches, signature wraps, chopped salads, plus chips, coffee, cold beverages & cookies. Visit website. Menu features burgers, flat bread pizza, sandwiches, wings & sides, daily happy hour specials, dart board, Touch-tunes, indoor smoking area, outdoor deck & betting. Visit website. Specializing in house-blended teas, drink offerings include various flavors of matcha, CBD infused lattes, chai, hot chocolate, lemonade and smoothies. For light fare, choose from house-made Belgian waffles, hummus & veggie platter, parfaits & salads. Visit website. Offering the best in groceries, produce, prepared & bulk foods, “beer world,” a pharmacy, pizza & sandwich deli, bakery & beverage café, salad & sushi bar. Open 24 hours, public restrooms available. Visit website. Enjoy our pizzeria menu specializing in homemade pan pizza; enjoy Wild's comedy nights and live music events with beer & wine options available. Or, cool off with a smoothie, frozen coffee & various ice-cream options. Learn more about parking with your phone.